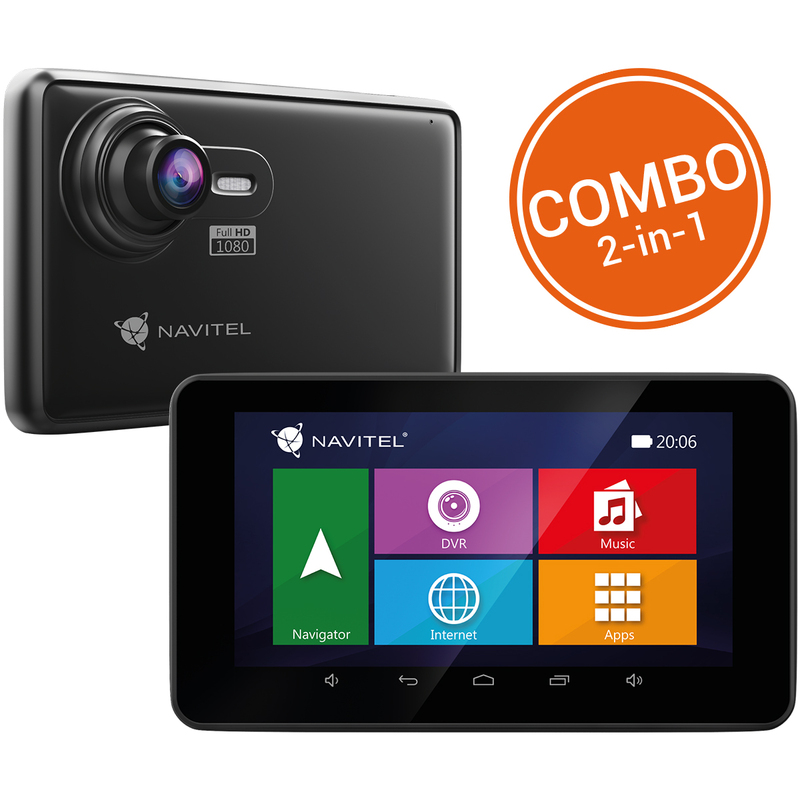 NAVITEL RE900 FULL HD is a unique 2-in-1 device, which combines car DVR functionality with GPS navigation features. The device is designed for user-friendly experience with a multifunctional approach in mind. The DVR-PND comes with all features necessary for ensuring easy communication on the go: 3G technologies, Wi-Fi, Bluetooth 4.0, FM-transmitter. NAVITEL RE900 FULL HD is equipped with a modern OmniVision camera featuring a 5-layer glass with a wide viewing angle of 140° for clear and detailed videos. The frame rate 30 fps provides high-quality footage both at night time and in sunny days. The sensitive microphone in NAVITEL RE900 enables high-quality audio recording. Built-in G-sensor is crucial for retaining critical footage made during road accidents. Motion detection is activated when the vehicle is accelerating at a high speed, the brakes are engaged non routinely, or unusual activity is detected close to the car. NAVITEL RE900 FULL HD is also a PND perfect for offline navigation with pre-installed maps of 43 European countries, Russia, Belarus, Kazakhstan and Ukraine. The maps include the latest information on the road network and up-to-date SPEEDCAM database as well as a large number of POI and 3D objects. Real-time traffic is taken into account when calculating route time and can be easily seen on the screen in the navigation mode. Additional maps can be purchased via the program's main menu: Menu > My Navitel > Buy maps. The program will also help to update the existing maps and software if needed. NAVITEL RE900 FULL HD is delivered with preloaded maps of 47 countries. Every map includes residential and industrial infrastructure with address search and detailed road network with traffic direction, interchanges, roundabouts, and other relevant information. There is also a huge POI database (filling stations, ATMs, restaurants, etc.) and an extensive SPEEDCAM database. Please see the link for the correct and updated user manual. For proper installation of the micro-SIM card in the device, a schematic image of the installation is added to the current version of the Manual. Detailed instructions for installing and using micro-SIM card in the device.